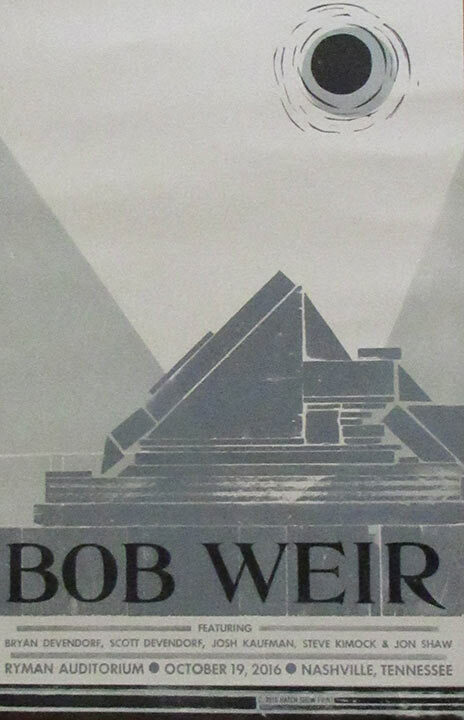 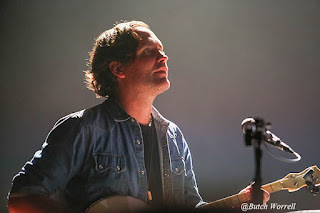 Returning to the “Mother Church” of Americana where he had just received a Lifetime Achievement award the month before, Bob performed his “Campfire Tour” show to a sold out show of fans. 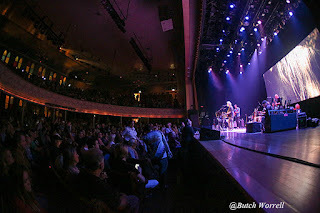 This was the culmination of Bob's 2 day visit to Nashville. 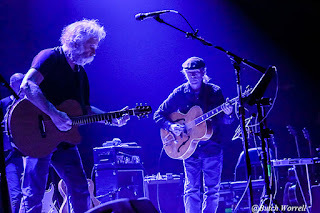 Night one was what will be for ever known as a legendary sit in with his “50th Fare Thee Well” band mate Trey at the Phish show. 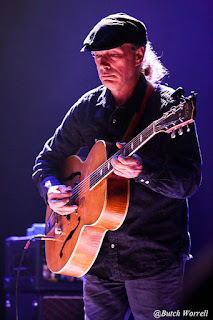 The next day Bob shopped at Carter Vintage Guitars and picked up a Gretsch “Chet Atkins” model #6120. 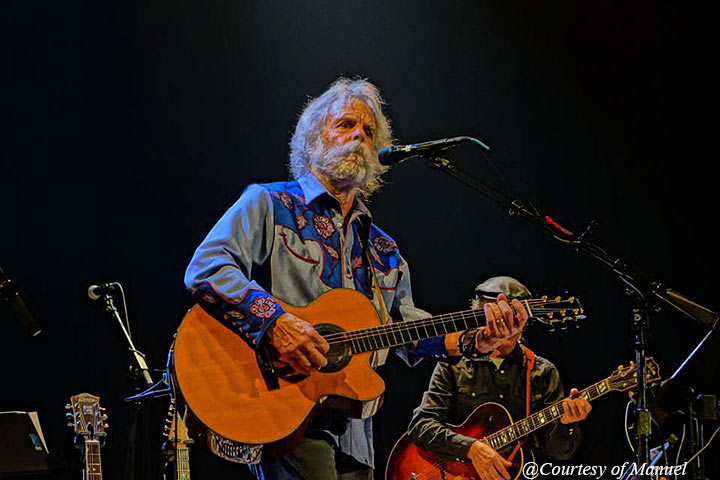 He also stopped in at the famous “clothier” to the stars, Manuel's, shop and picked out a custom blue cowboy shirt, both of which made an appearance at his Ryman Auditorium show that night. 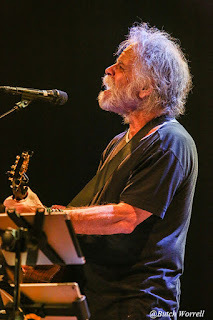 He came out, greeted with a huge cheer, and kicked off the show with a acoustic version of the Grateful Dead fav, Loose Lucy, always a “real good time” as the crowd sang along. 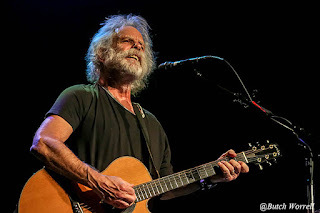 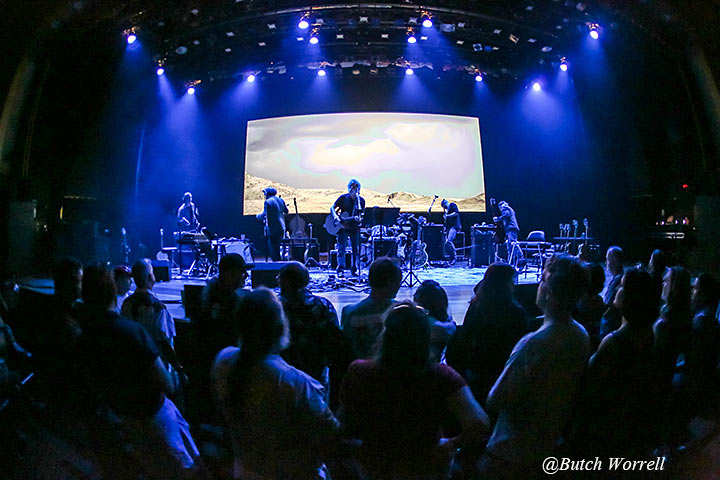 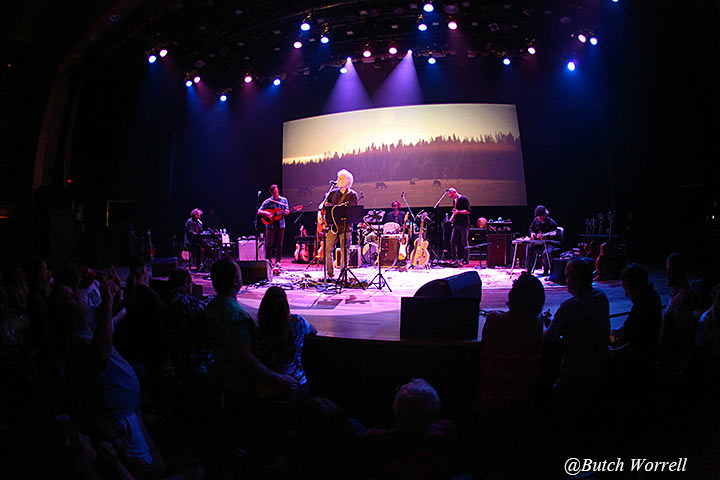 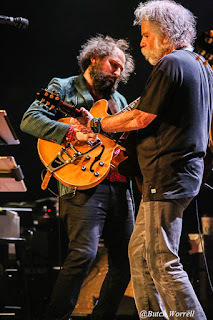 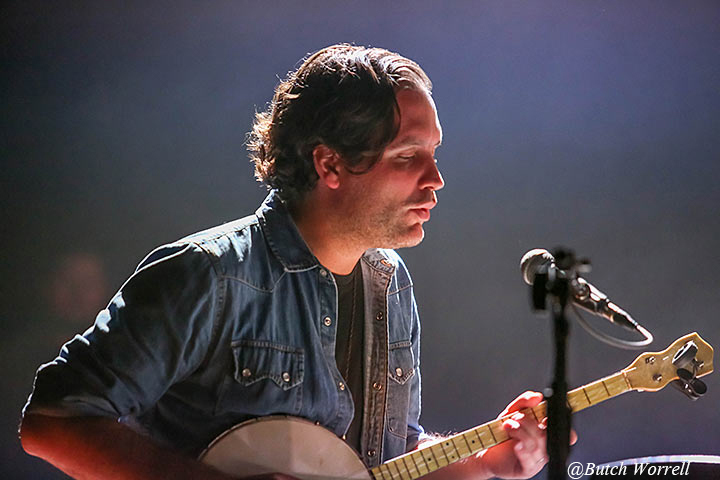 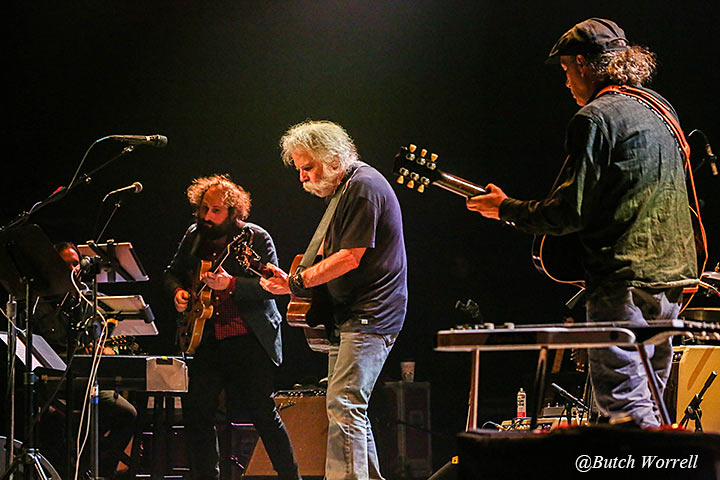 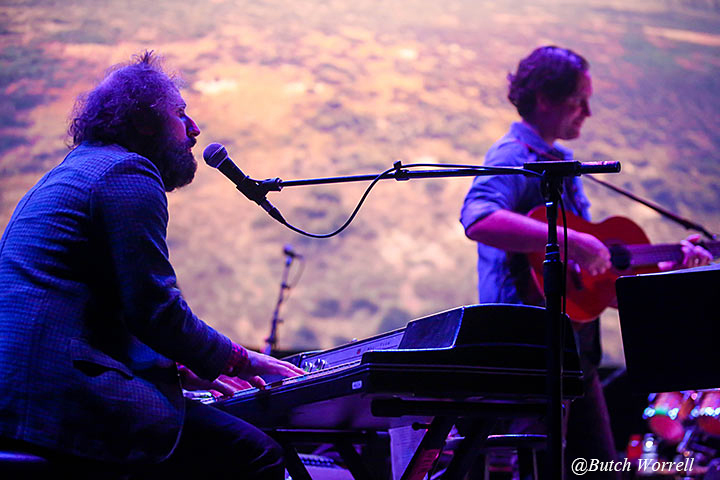 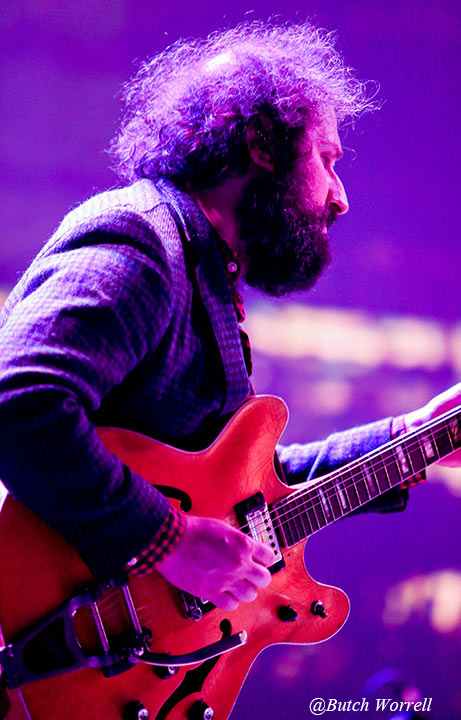 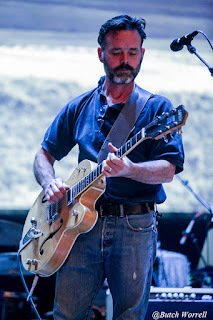 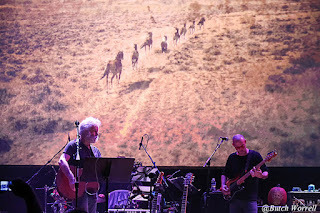 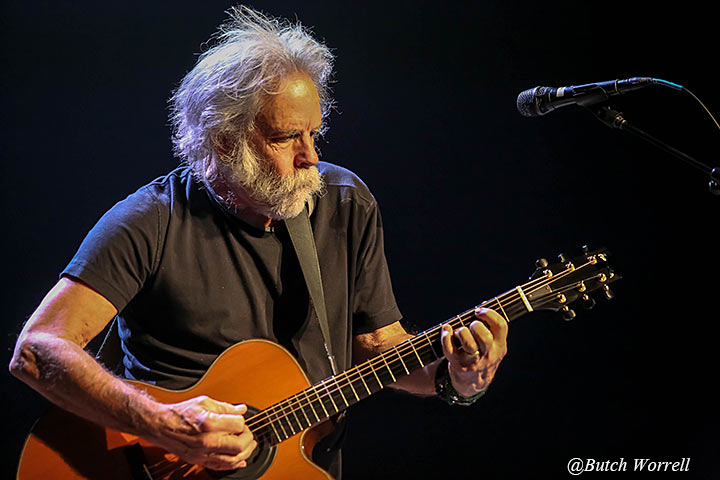 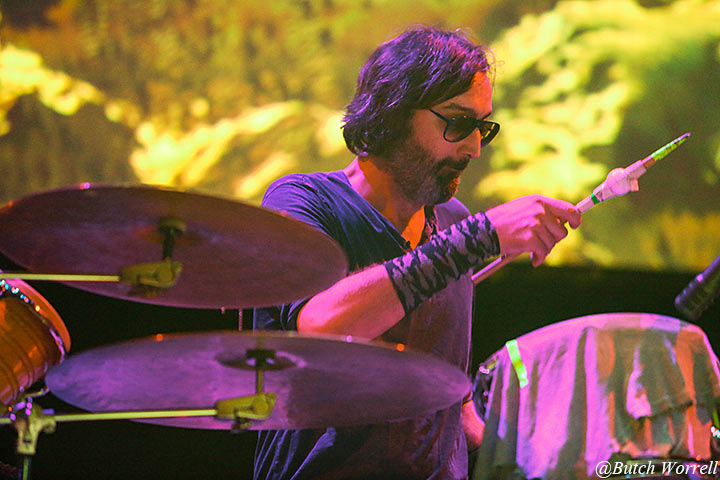 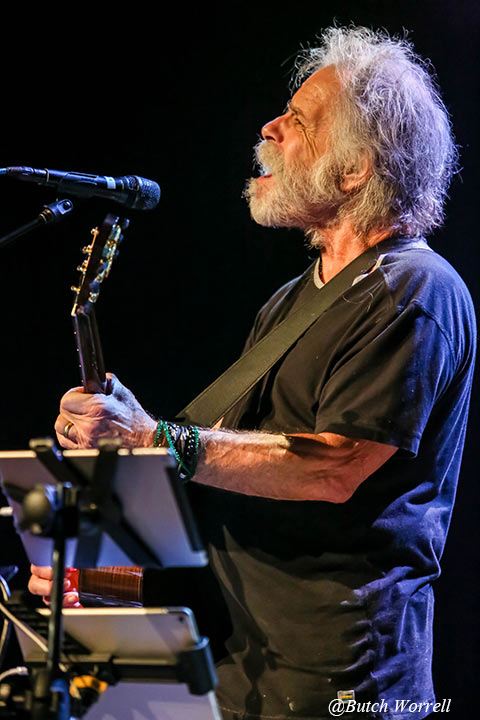 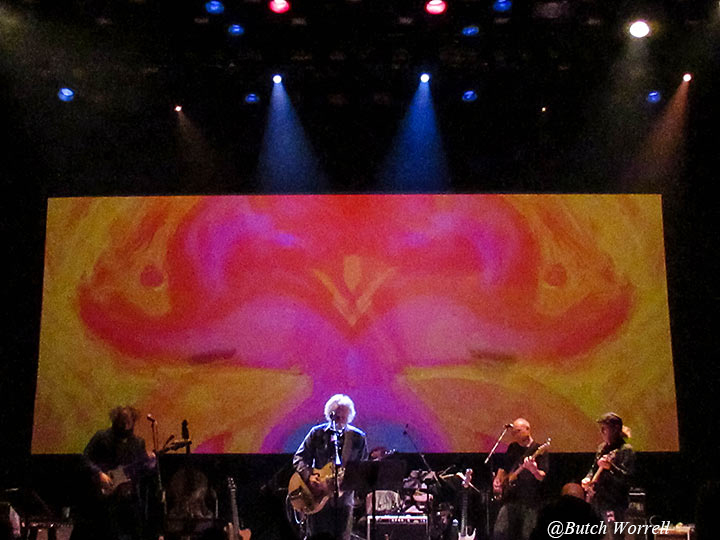 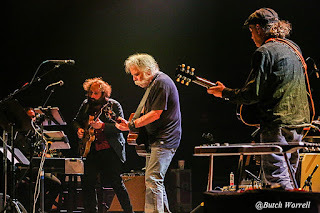 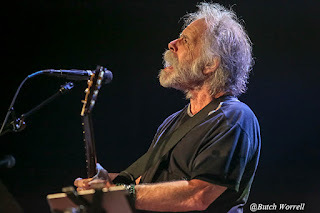 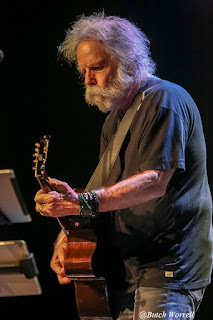 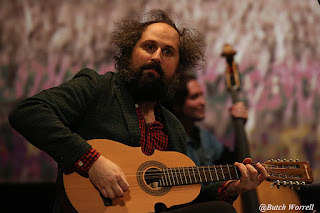 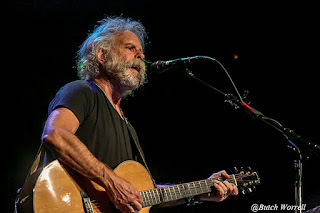 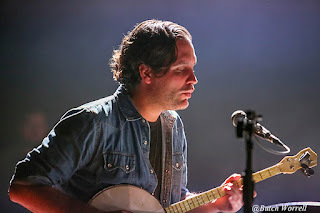 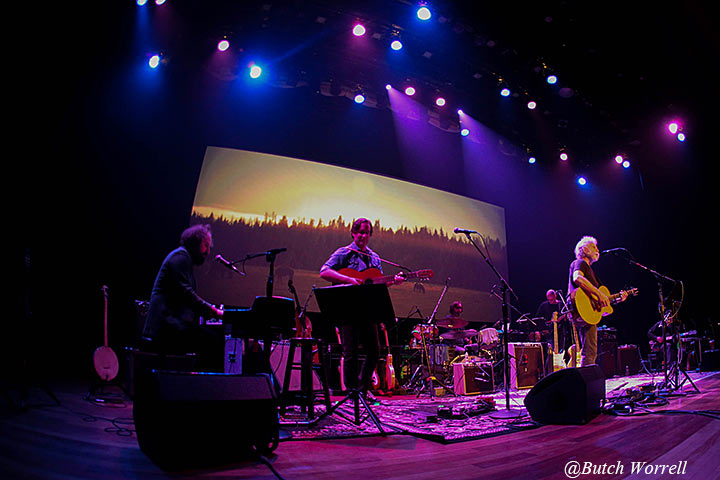 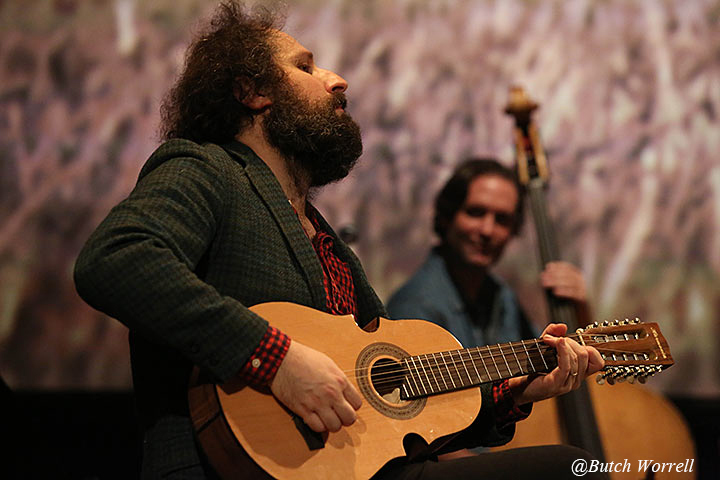 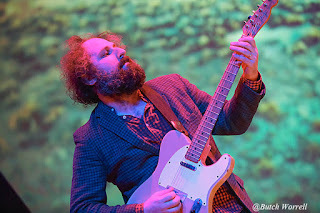 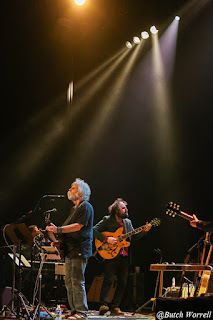 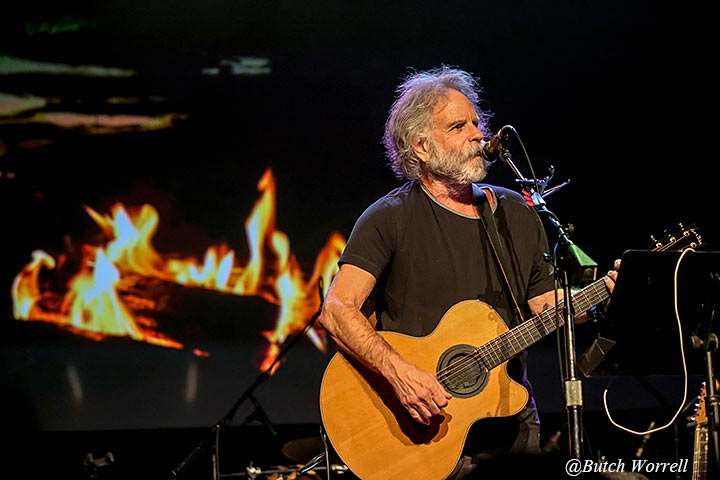 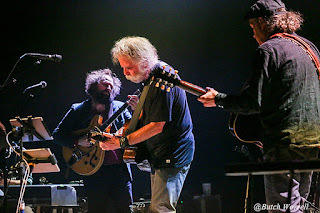 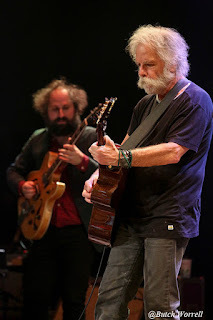 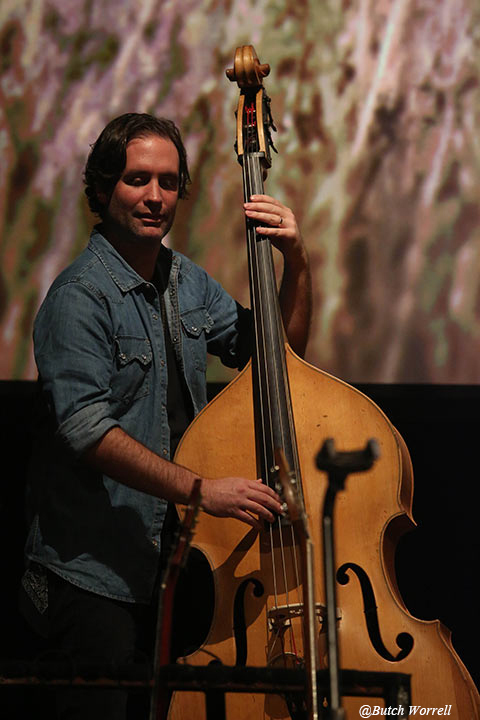 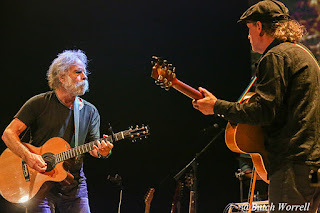 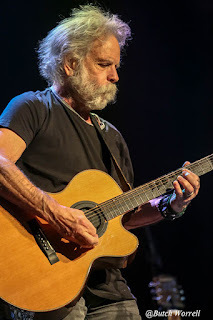 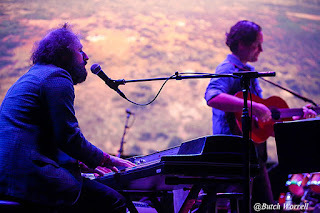 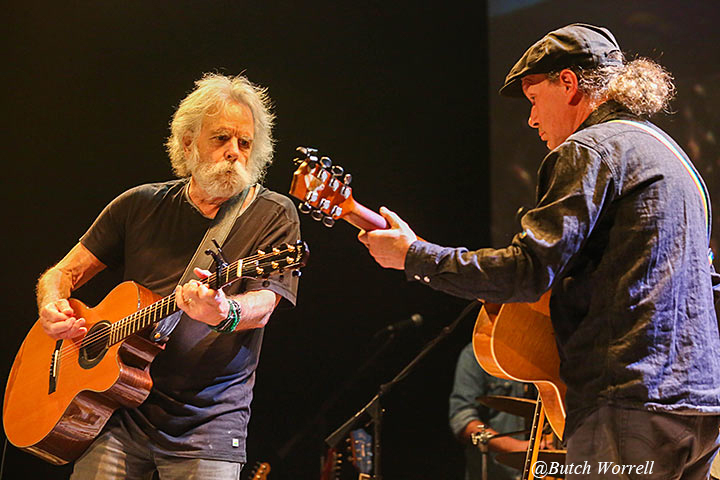 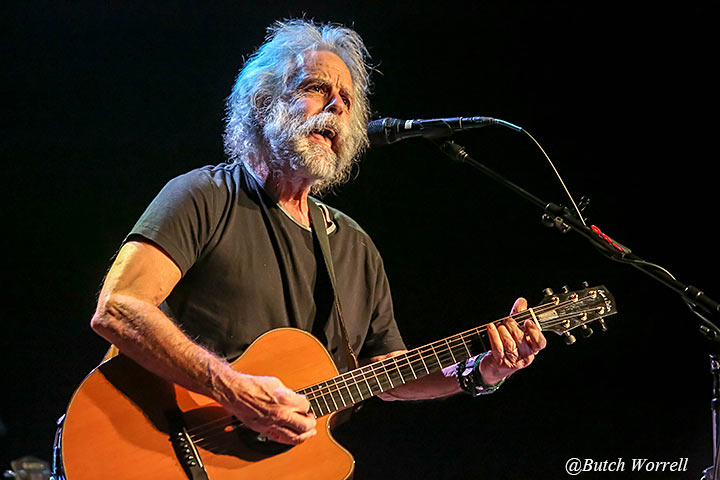 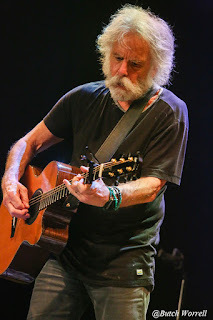 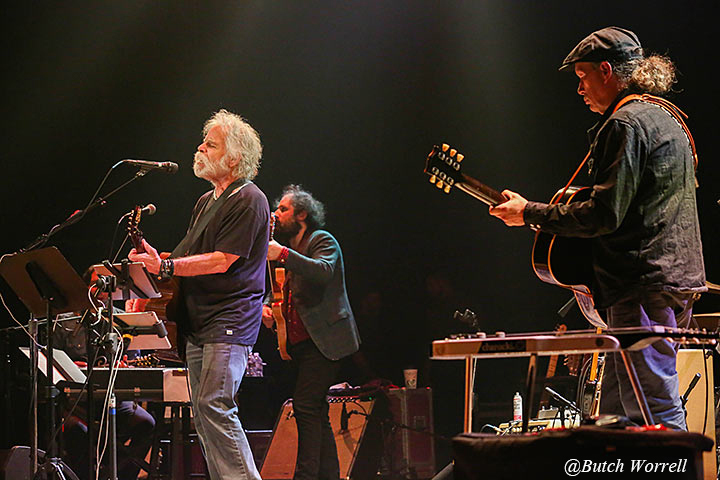 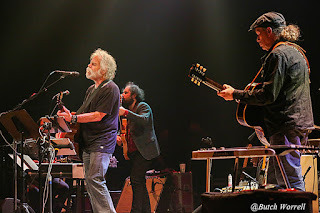 As the screen behind streamed clips of the “Blue Mountain” album scenes Bob went from a “Ratdog” days “Easy to Slip” to the title track “Blue Mountain” from his new LP. 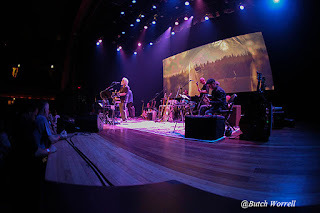 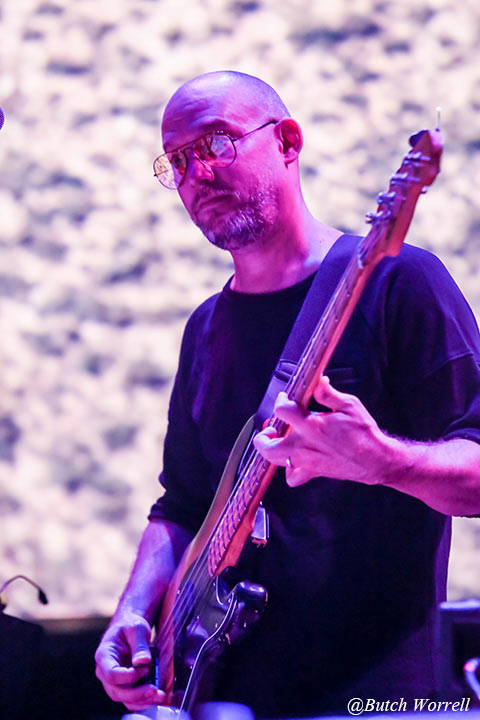 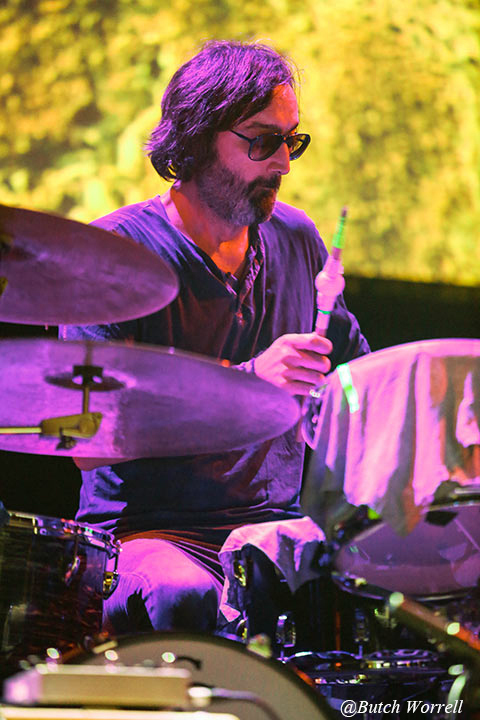 The “Campfire Tour” band came out for the remainder of the first set....Steve Kimock and Josh Kaufman, the National's Byron and Scott Devendorf, and Jon Shaw covering songs from “Blue Mountain” culminating in a rousing set closer “Gonesville”. Bob came out sporting his new Manuel shirt to start the 2nd set with, singing “Me and Bobby McGhee”, a song he began singing in the 70's as a tribute to his friend Janis Joplin (por los muertos as he introduced it during the legendary Europe 72 tour). 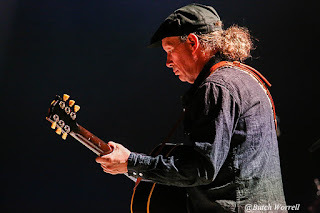 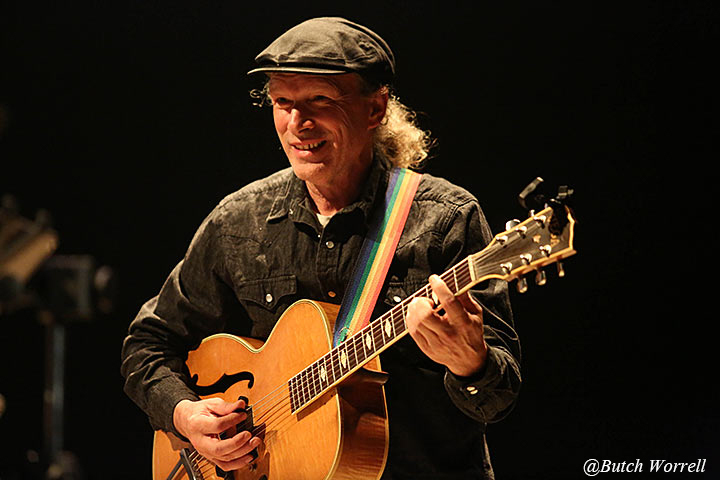 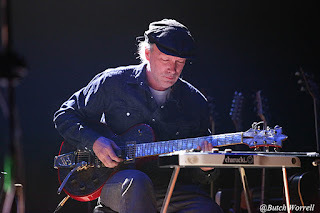 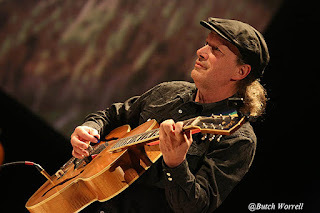 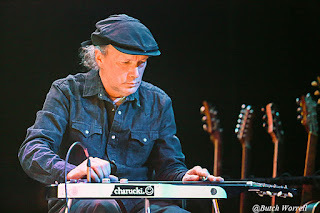 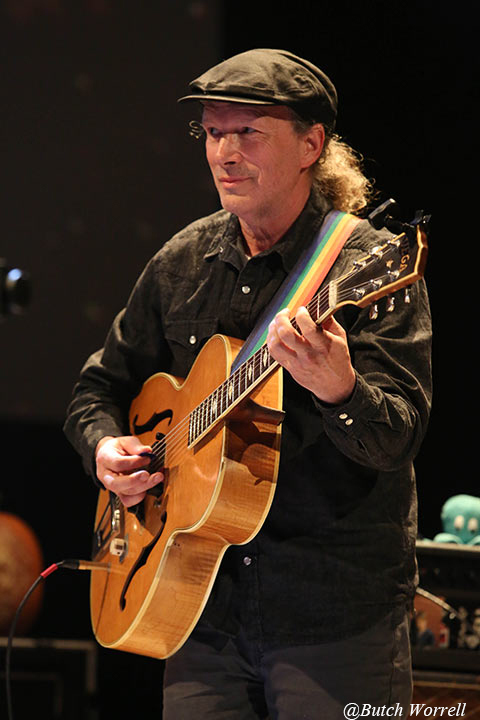 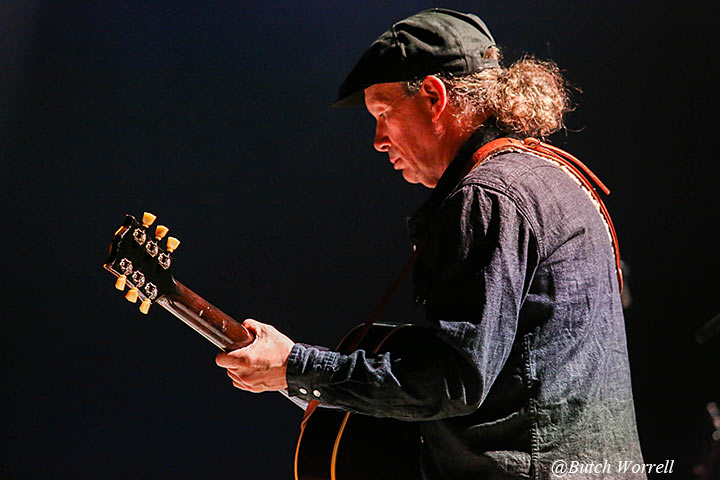 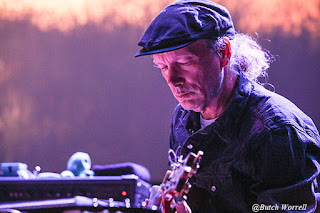 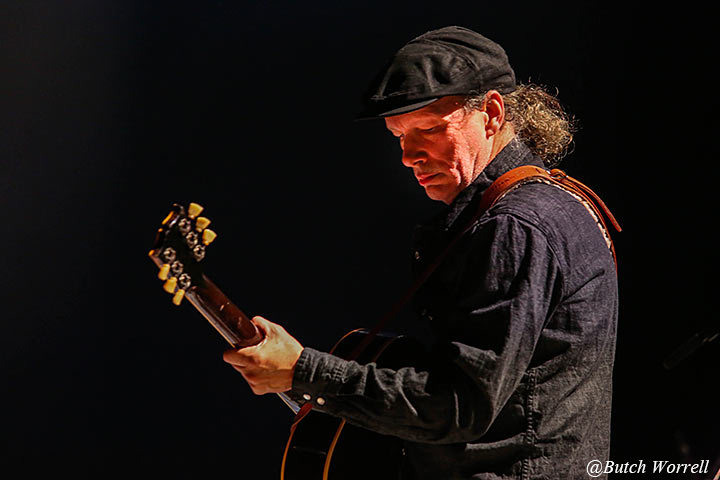 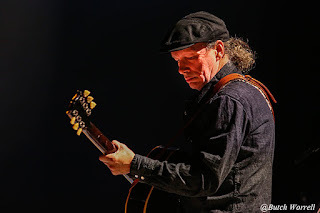 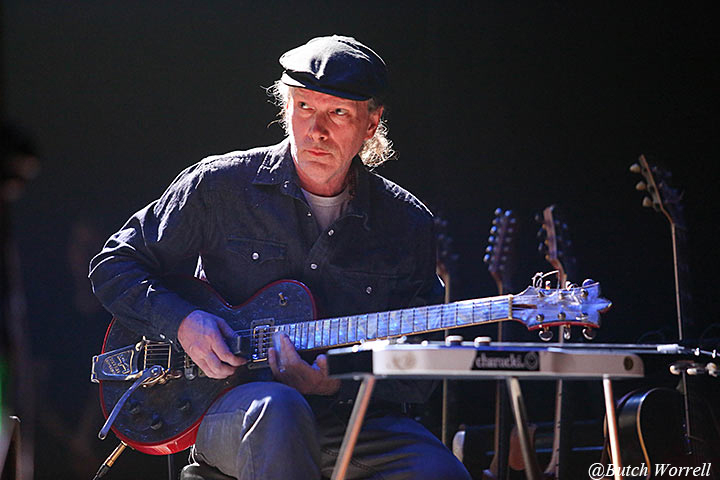 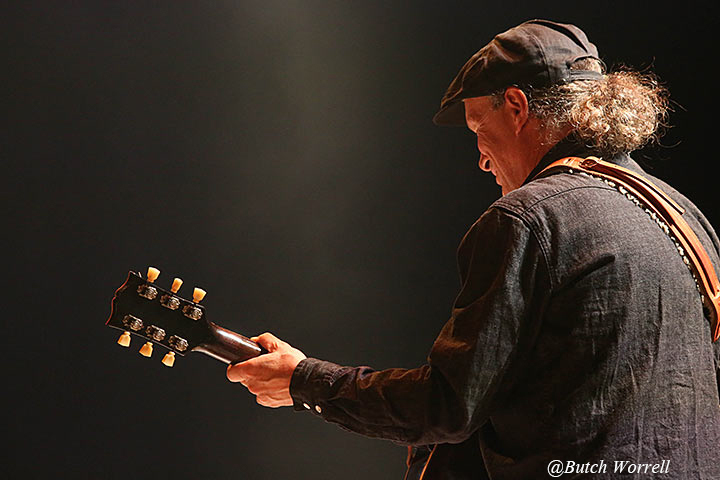 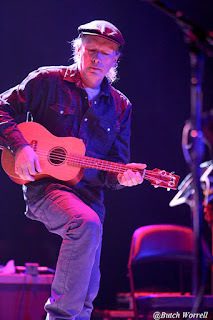 The 2nd set continued in a true “Ratdog” show style led on by Steve Kimock setting the pace and ending in a “Going Down the Road Feeling Bad” closer that had the fans on their feet. A show such as this earned a triple encore. 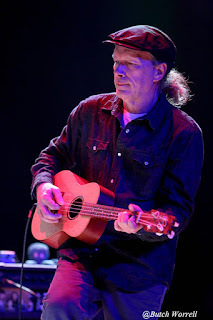 The cool Ki Yi Bossie from Blue Mountain was first, followed by a nod to the old English roots of Americana “Peggy O”, and finished with a “Ripple” sing along finale. 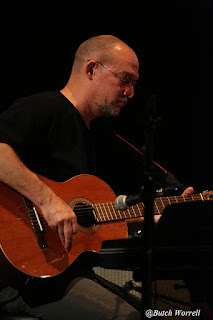 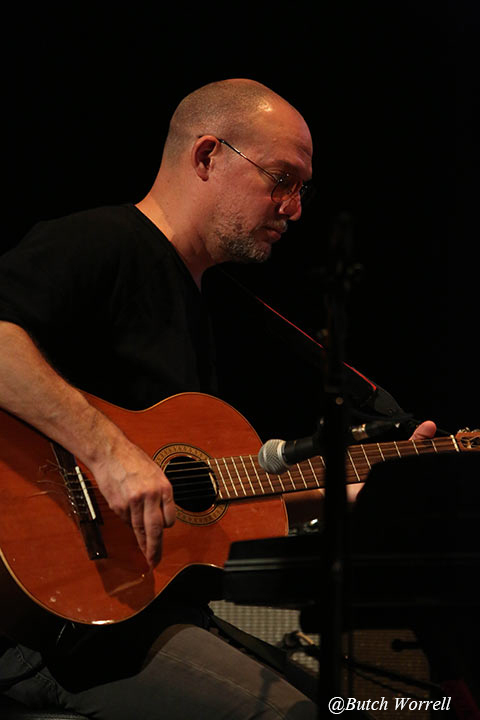 Rumor has it Bob will be back for more of Nashville's musical roots culture soon. 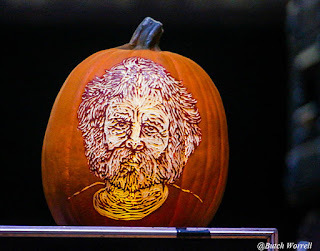 All of us here eagerly await his return. Bob's guitar tech, A.J. tuning Bob's new guitar before the show. 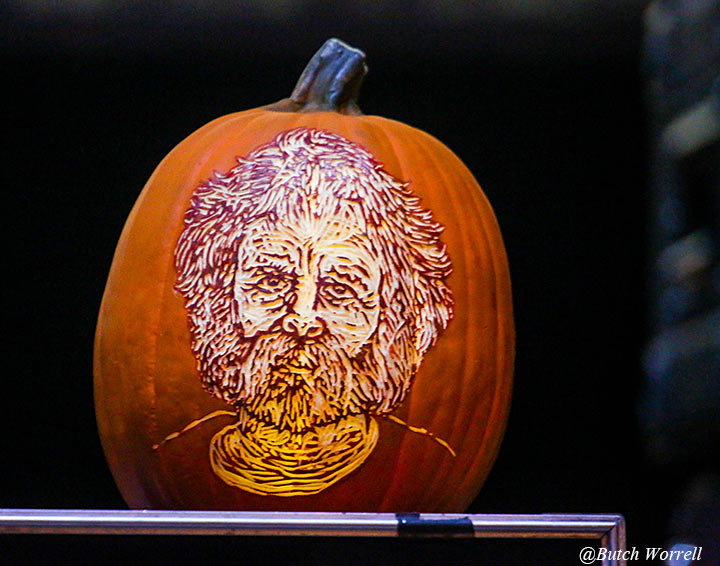 A “Bobby” Halloween pumpkin gracing the stage set-up. 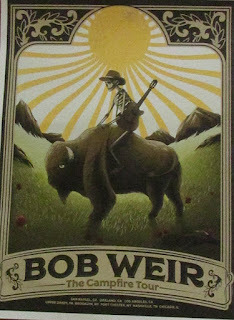 The Hatch show print poster for the show, available only at the Ryman, sold out quickly. 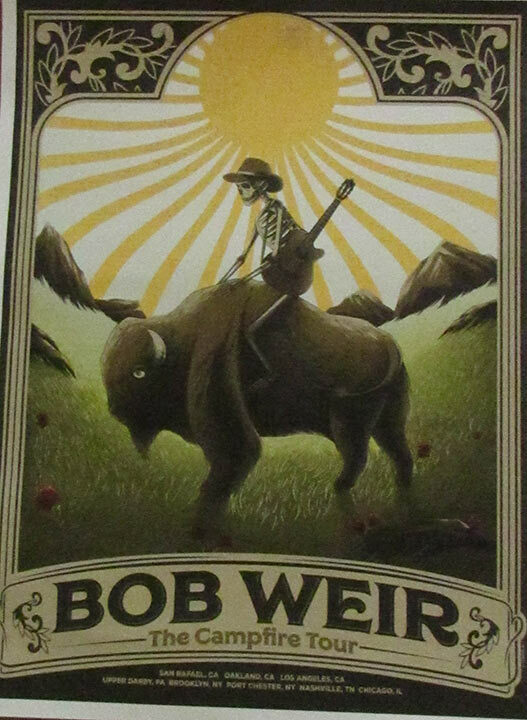 This “Campfire” tour poster captures the spirit of the tour.